When you first visit, James will take a full medical history. This will include questions about your general health and lifestyle as well as asking you about the symptoms or injuries that you are seeking help with. He will also ask about previous accidents, injuries and surgery all the way back to childhood in order to understand what your body has been through. 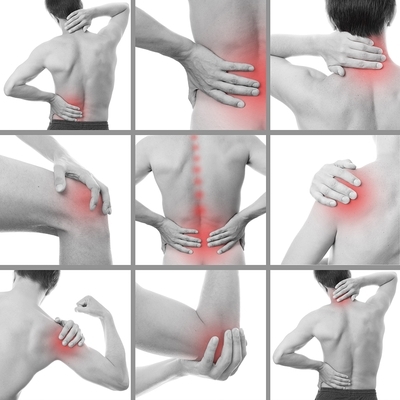 The body carries muscle tension and joint restrictions that can date back decades. It is a good idea to bring a list of dates with you. With your consent he will then perform a physical examination which is likely to involve touching the areas of your body that are experiencing pain and asking you to move around. He will also look at test results, x-ray summaries and scan reports if these are available. Osteopaths need to be able to observe how your body moves by seeing how your joints, muscles and skin move. They also need to make sure that nerves are functioning correctly, this can involve testing that your reflexes and sense of touch are not affected. Osteopaths often examine and treat patients who are dressed down to their underwear. James has gowns available that can be worn throughout the appointment and many patients choose to wear one. Some patients prefer to wear or bring with them shorts/sports bra. Some patients prefer to be examined and treated fully clothed but they make sure that they are wearing loose fitting clothing. Please discuss this with James if you are at all concerned. Remember your preferences will always be accommodated. You are welcome to bring someone with you into the examination room if this puts you at ease. However, a parent or guardian must be present if the patient is 16 years or under. James will then make a diagnosis and with your consent treat you at this first appointment. You may need to visit a few times for treatment and may be given some exercises that you can do by yourself and some lifestyle changes may be suggested. 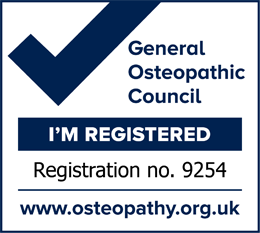 If James believes that your condition would not be improved with osteopathic treatment he will refer you to your GP or another suitably qualified professional. He will only refer with your consent and can provide notes explaining his findings at no extra cost. Osteopathic treatment routinely continues alongside GP treatment but only when safe and appropriate. Osteopaths work very hard to make treatment as painless as possible, but you may experience some discomfort during and after treatment. James will warn you if he thinks that the technique he is about to use is likely to be uncomfortable and will stop if you tell him that you are feeling too much pain. Following treatment some patients report some mild soreness in the area of their body that was treated and sometimes mild dizziness, this usually goes away within 48 hours. If you experience serious or unusual symptoms after treatment you should contact James straight away for advice.